Kim John Carr is an Australian politician. 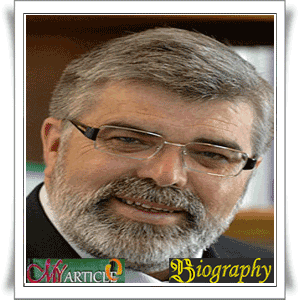 Men born in Tumut dated July 2, 1955 it has been a member of the Australian Labor Party Australian Senate since April 1993 and represents the state of Victoria. He was elected to the Senate after winning the general elections in March 1993. Carr later inducted into the council on July 1. Carr was born in Tumut, New South Wales. He completed his studies at the University of Melbourne where there he earned a Master of Arts and a Diploma of Education. Carr joined the Labour Party in 1975. At that time Carr still works as a secondary school teacher for nine years until he decided to go into politics in total. Carr later became a political staff for the minister Joan Kirner and Andrew McCutcheon in the Victorian state government. Carr believed to be the Shadow Parliamentary Secretary in March 1996. After that he was drawn to become a Business Manager in the Senate until he was elected to the position of Shadow Minister Parliamentary Opposition in the elections in November 2001. Carr was appointed as Minister of Science and Research until October 2004. Carr also briefly served as Minister industry and Innovation from July 2003 until October 2004. After stepping down from the post of Minister for Industry and Innovation, Carr was appointed to carry out duties as Minister of Public Administration and Governance as well as concurrently as Minister for Indigenous Affairs and Reconciliation by June 2005 and his last position was when he was appointed as Minister of Housing, Urban Development, Local Government and Regional . Carr is one of the five members of the executive for the National Party of Victoria. After the general elections of 2007, Prime Minister Kevin Rudd to appoint Carr served as Minister for Innovation, Industry, Science and Research. Carr was sworn into office by the Governor-General Michael Jeffery on 3 December. Carr was re-elected in the general election in 2010 and maintains his Minister for Innovation, Industry, Science and Research at the time of the Gillard government in which he was appointed on September 14, 2010.